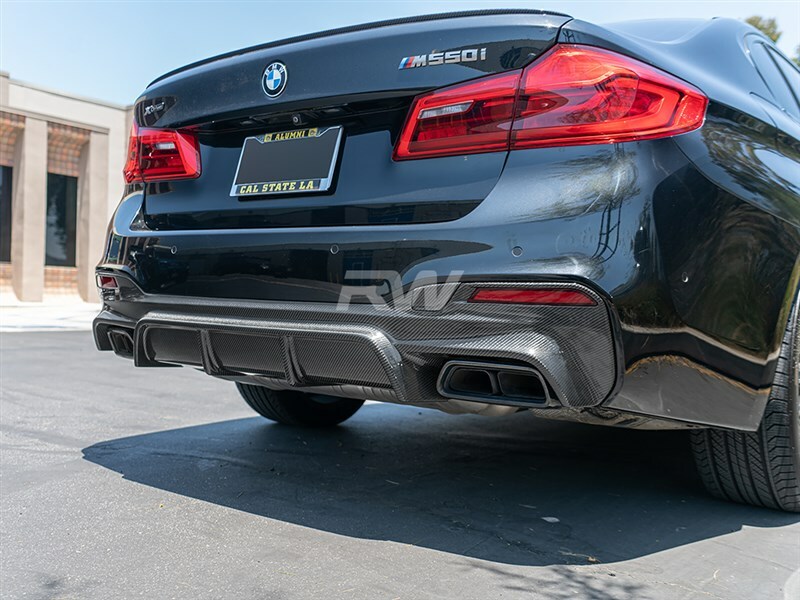 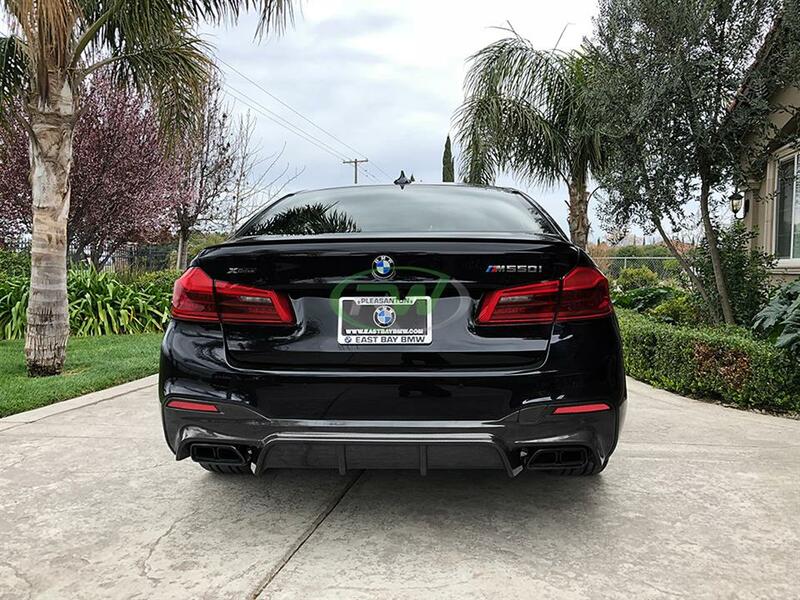 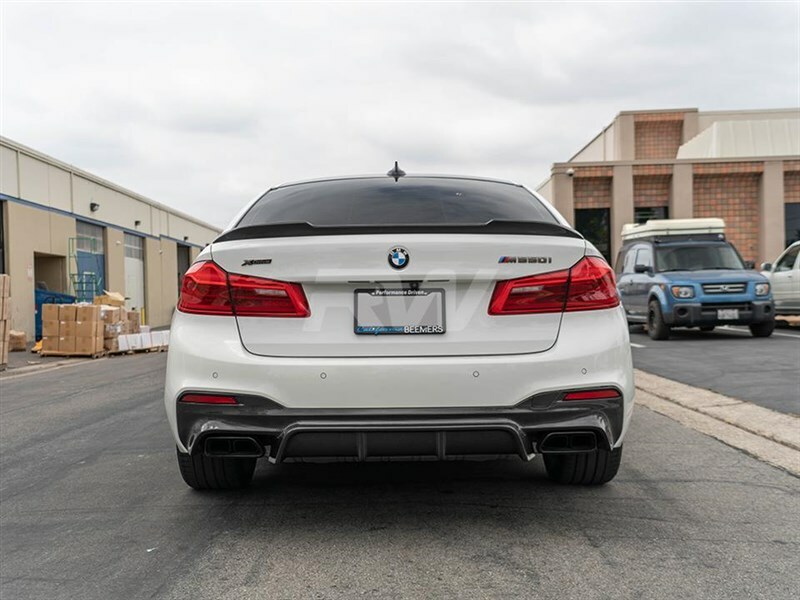 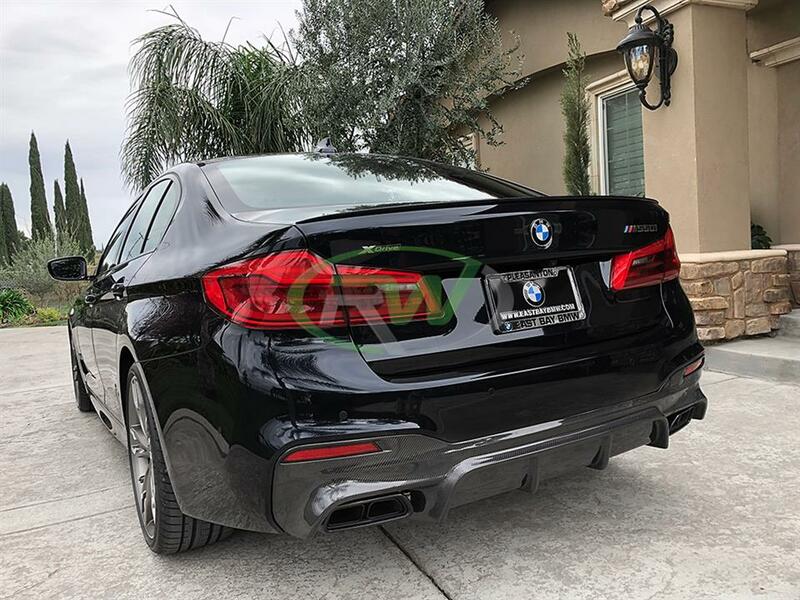 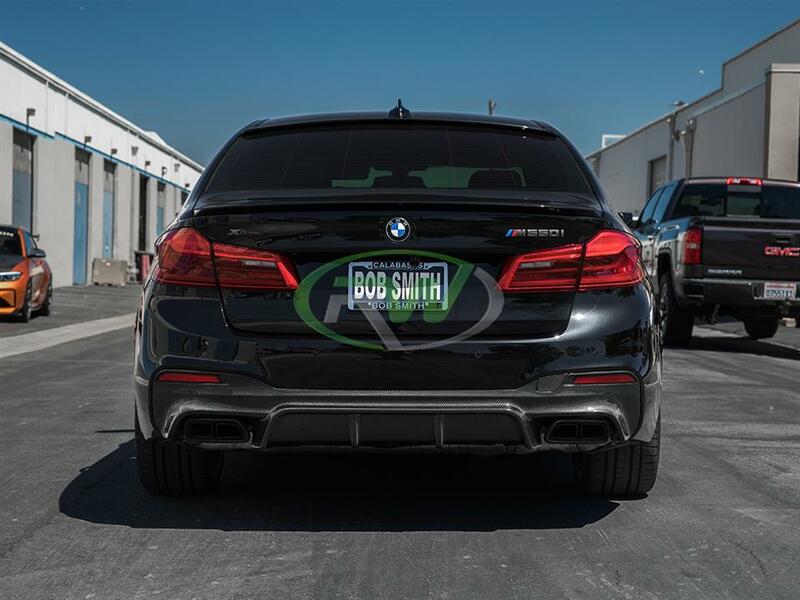 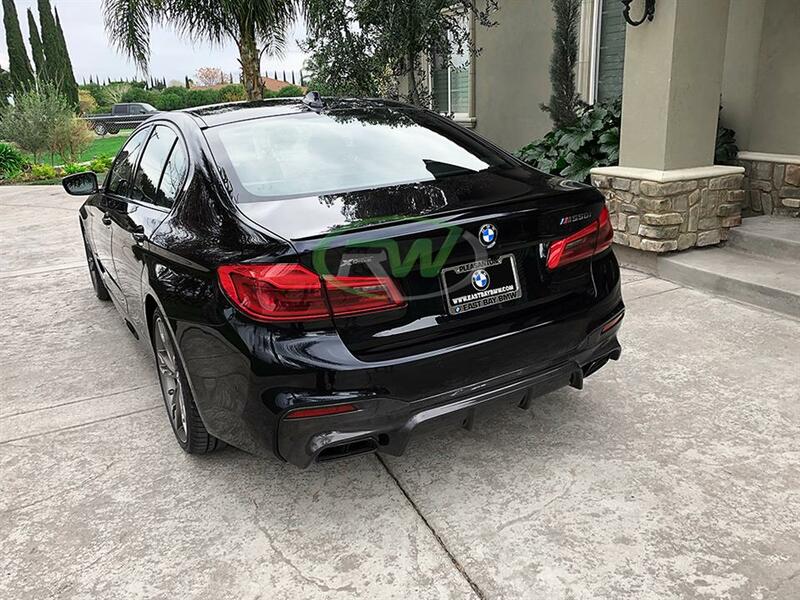 RW Carbon has just released their first carbon fiber rear diffuser for the BMW G30 5 series. 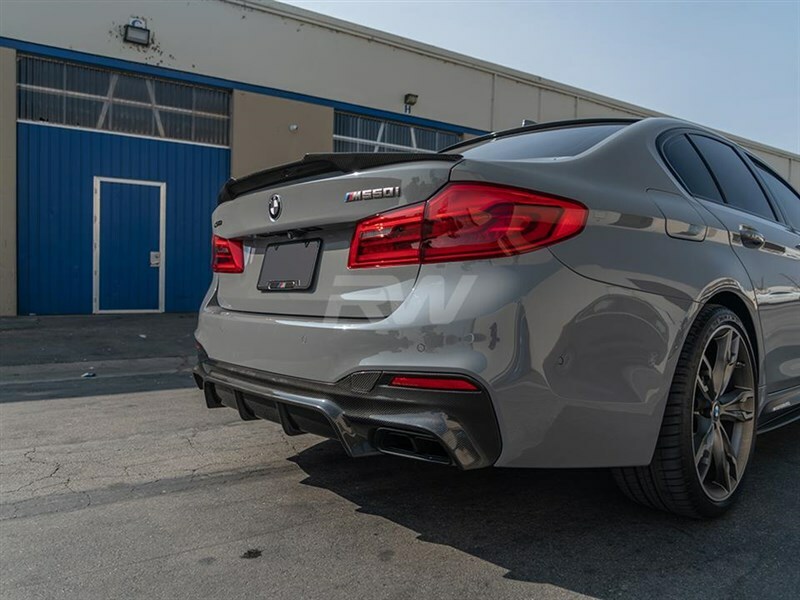 These are all 2017+ 5 series with the M Sport package, which includes the 530i 530e 540i and M550. 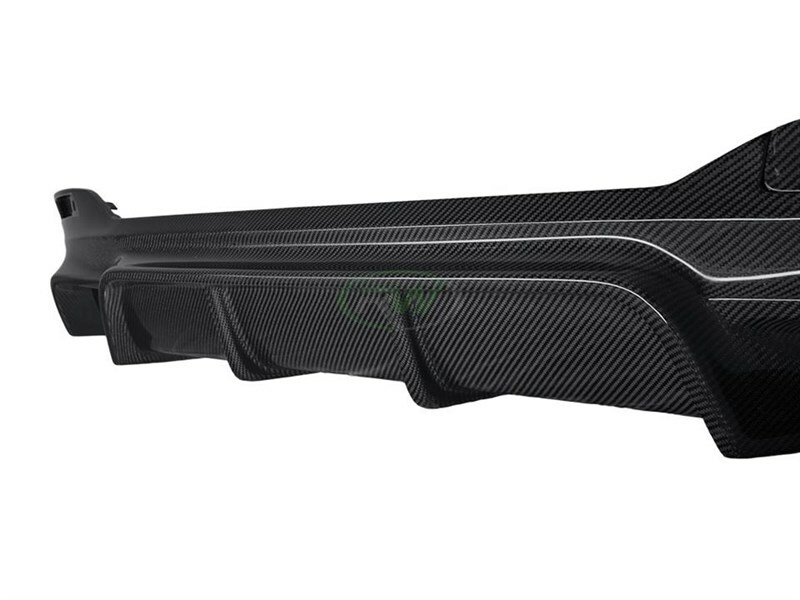 This EC Style Diffuser is made using genuine carbon fiber and will perfectly match any other G30 RW Carbon Fiber parts and/or accessories. 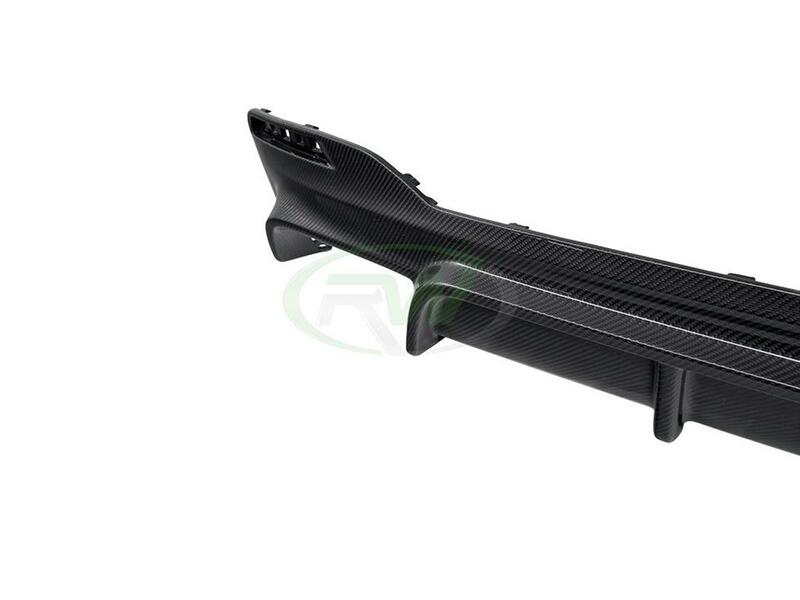 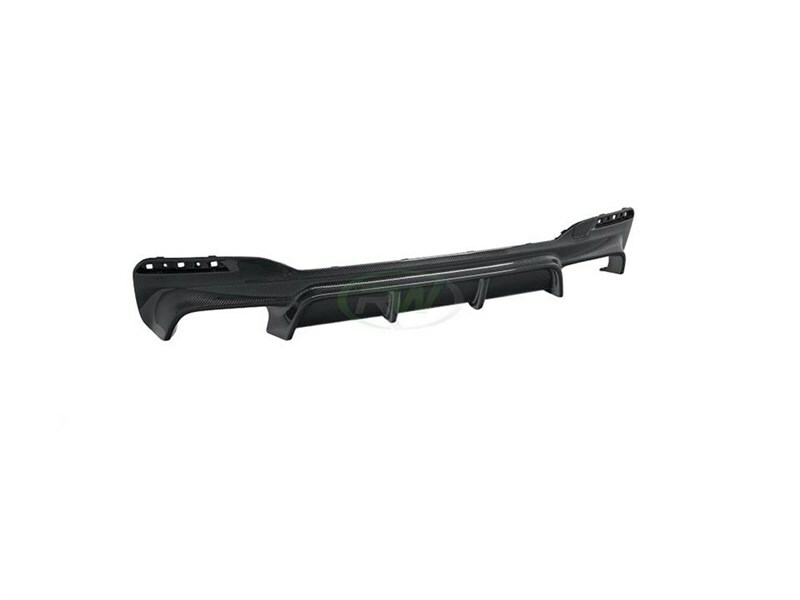 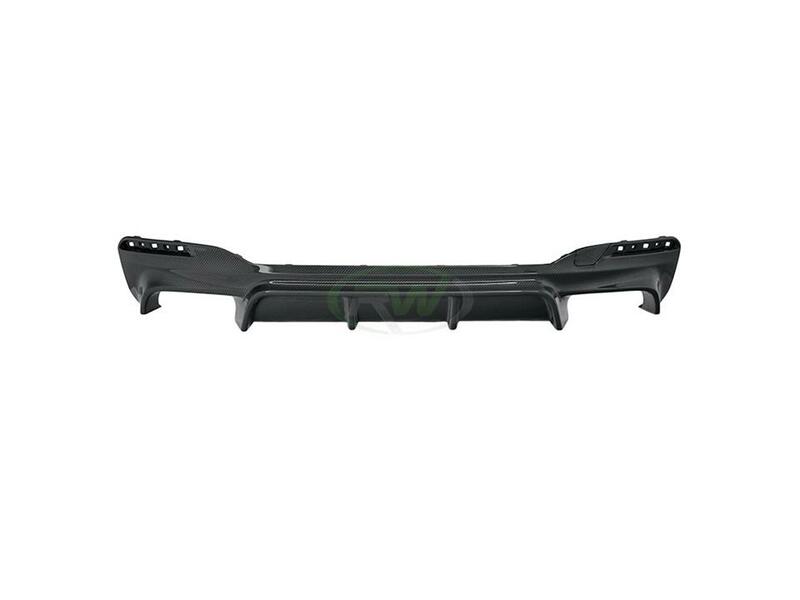 This diffuser does require the removal of the rear bumper for installation. 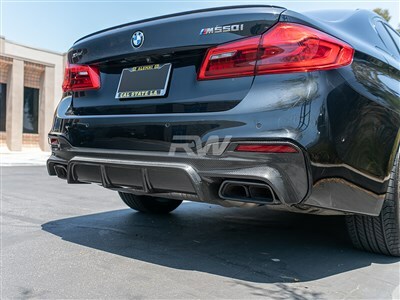 Due to this we highly recommend that you have either us at RW Carbon install it or another professional shop. 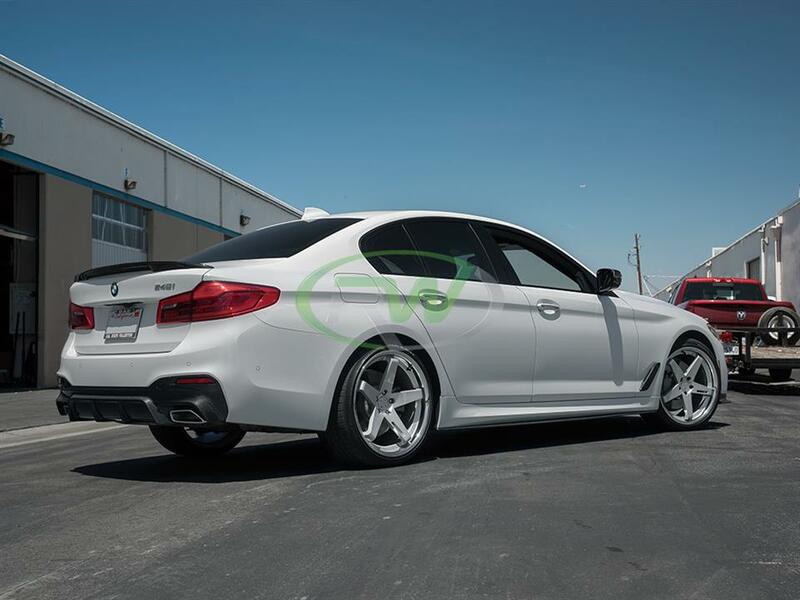 Take your G30 from bland to extrordinary in a matter of a couple hours with a new RW EC Style Diffuser. 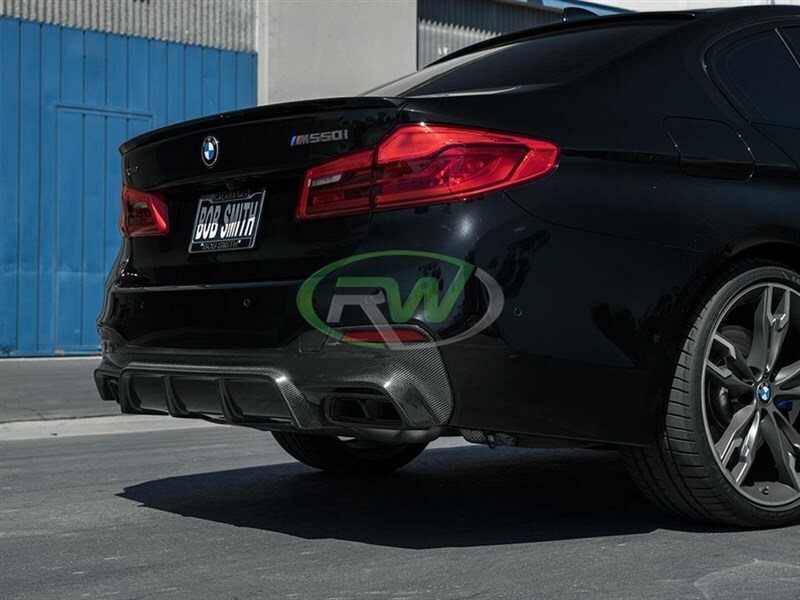 RW Carbon request that you must get this EC style CF diffuser installed by a professional. 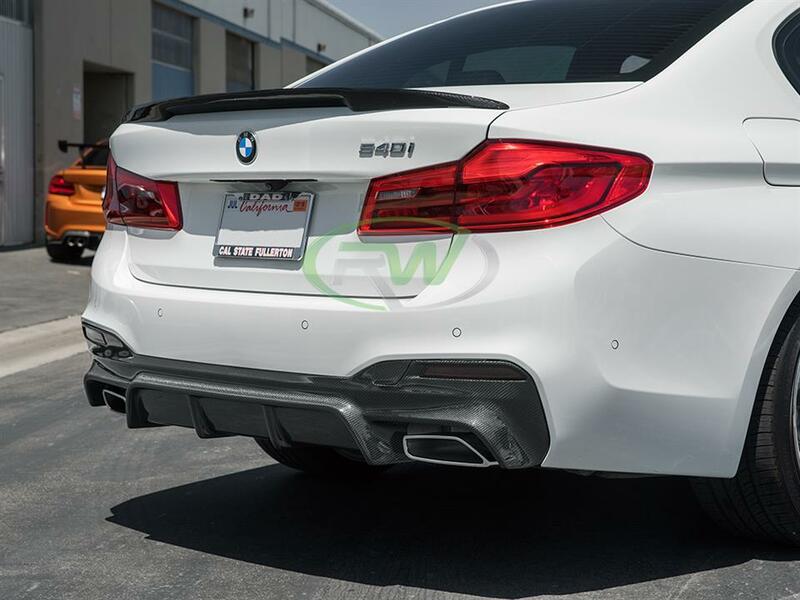 The diffuser does require the entire rear bumper be removed. 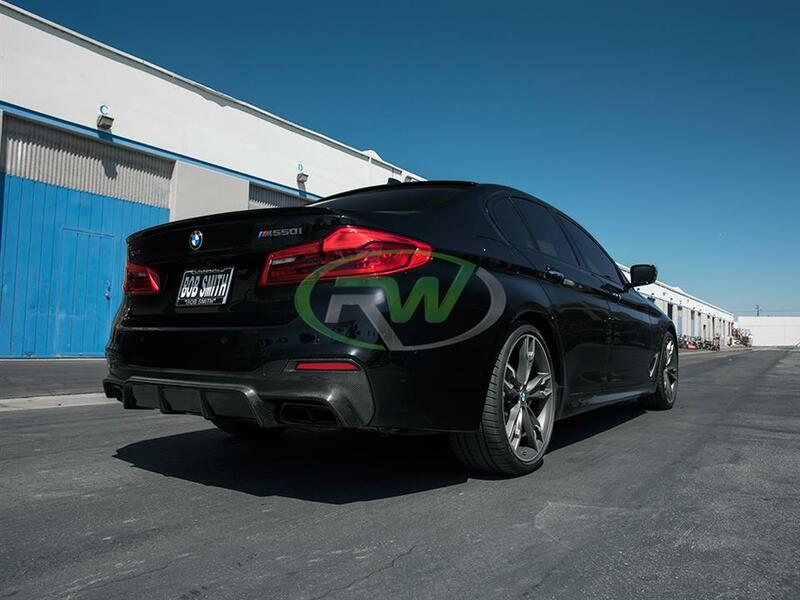 For further information feel free to email us at info@rwcarbon.com.